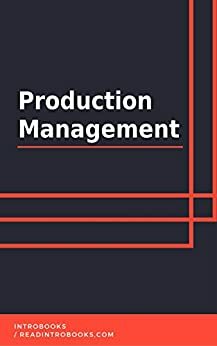 Production Management is a broad field and its usage is recognised in multiple areas which are concerned with providing services to the consumers. A Production Manager is required in fields like in Theatres as Stage Manager, Human Resources, Management, Accounting and Financial Management etc. A Production Manager’s job working in an industry is to regulate the design of the product according to the wants of the customers. It also keeps a check on provision of raw materials, work force, money, materials and methods which are important for the manufacture of the desired product. Proper Product Planning and Control is employed to avoid faults in the manufacturing process of the product to prevent the company from passing through the loss phase be it in the case of resources or the reputation that the company has developed over the years of work. The Production Management department of the organisation is said to be the most important part of the organisation. Many other areas of work are affected if Production Management is not carried out properly and therefore is also referred to as the nervous system of an organisation.